A Panama Canal worker who suffered an accident in the Cocolí locks on Saturday, January 12, has died in a hospital center. said a statement from the Canal Authority (ACP). The ACP had previously stated that an investigation would be initiated, but so far no details of the causes of the incident have been released says TVN. 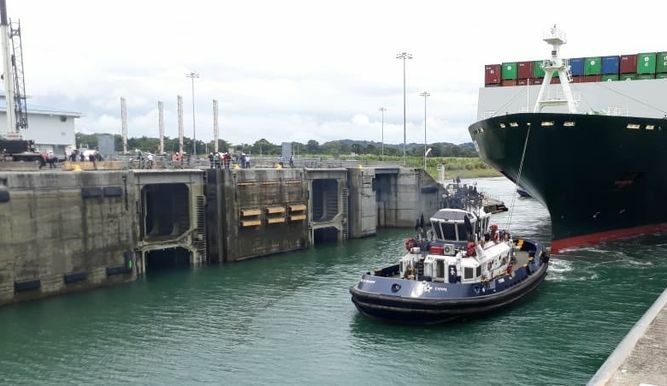 PANAMA | Canal Worker Dies At Cocoli Lock...the Mishaps. Expansion Canal is an extraordinary machine of complexities. Complexities combined with engineering automation. Engineering automation and a rush for profits. Accidents are minimal but potentially deadly. Expansion Canal workers should know all the risks. Risks in certain areas of their duties. Risks of falling, drownings, getting crushed, electrocution, etc. Panama Canal Authority should educate the public and workers any hazardous conditions employees could be subjected to. Panama Canal Expansion is an enormous project of immense electrical and mechanical power and needs to be a reminder of a number of mishaps that could occur.